I created a layout to play along with Kaisercraft's May Sketch Challenge "May #4". I thought the sketch was really cool and I had just the perfect photo for it. On Mother's Day a couple weeks ago, we took a day trip to NYC and had a great time. We saw my brother (he lives there), visited Central Park and the kids played at the oldest playground there, and we visited Toys R Us, FAO Schwartz, and American Girl Doll store (according to DD, it's another version of Paradise). At FAO Schwartz, the kids got to play around on the famous piano, and I snapped a few pics. 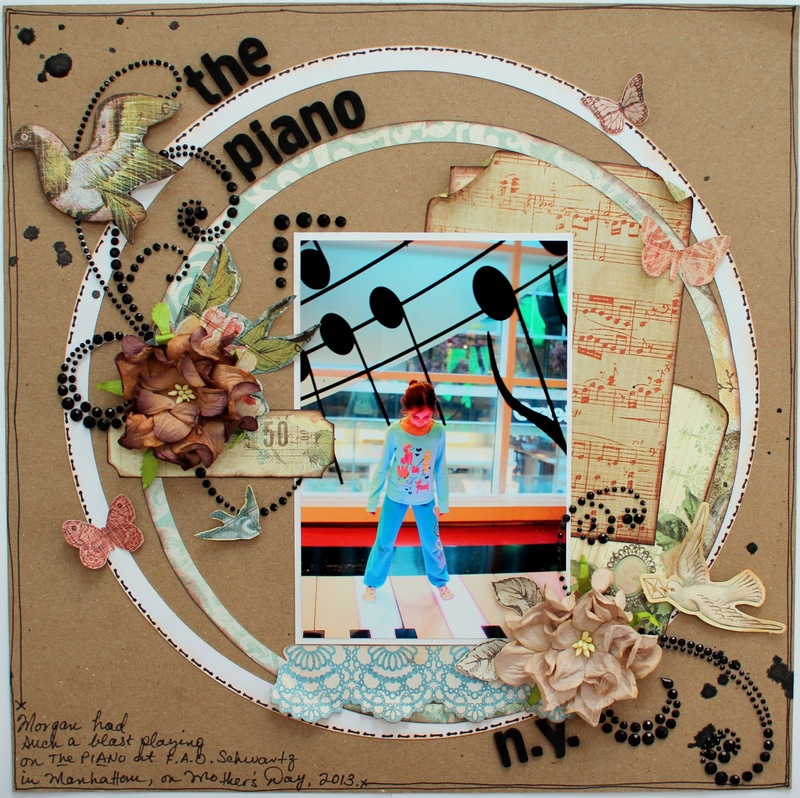 The Kaisercraft "Sweet Nothings" paper was perfect, with its music notes and nostalgic feel. I also used some Recollections flourishes and IamRoses.com flowers. Wow! Exciting piece! Well done! Wonderful layout, those papers are perfect!